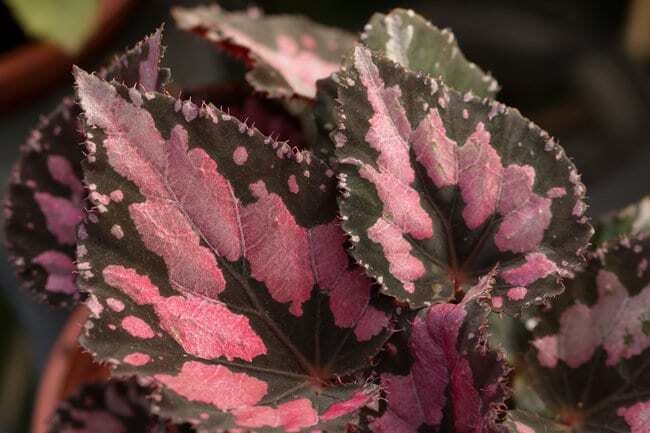 If you are looking for a plant that adds robust color to indoor spaces, then look no further than the flamboyant Rex begonia (Begonia rex-cultorum). The vibrant foliage more than makes up for the plant’s insignificant flower displays. Although considered tricky by some, with proper care, your Rex begonias should thrive and continue to put on their colorful display for years. Continue reading because we take the mystery out of Rex begonia care indoors. Although a Franciscan monk in Brazil noted the first documented discovery of fibrous begonias in 1690, the Rex begonia’s discovery was almost by accident. 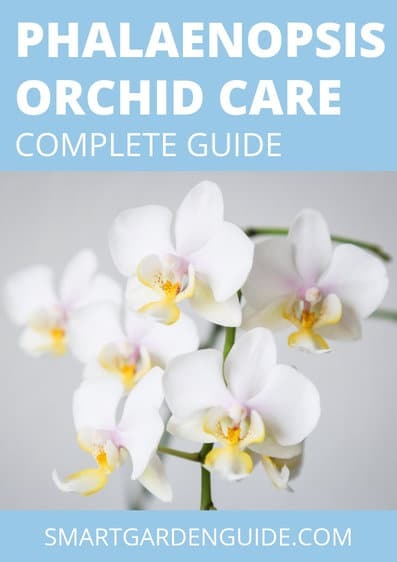 In 1856, in a shipment of orchids to England, someone noticed an exotic and mysterious plant with elaborate foliage growing at one of the orchid’s bases. Thus, was the first documented discovery of Rex begonias. A bit later, additional varieties of Rex begonias were found growing in the Andes Mountains, including those with leaf colors of orange, yellow and red. From then to today, Rex begonias are still brightening indoor locations with their stunning displays of pattered foliage. Rex begonias are classified as florist begonias, due to their elaborate foliage. Although plants do produce attractive winter flowers in pink and white, the blooms are small and considered insignificant compared to their show-stopping foliage. Depending on the cultivar (the botanical name for a specific variety), Rex begonias average anywhere from 12 inches to almost 24 inches tall, with a similar width, when fully grown. They have a clumping and rounded growth habit and their foliage grows tightly packed together giving the plant density. One look at the foliage and it’s easy to see why they are known as the “kings” of the begonia world. The size of the leaves varies, depending on the variety, but average around 6 inches in length, with an average width of 4-5 inches. There are too many different varieties to count, and a multitude of distinguishing leaf shapes and colors. One look at an online plant catalog, you’ll be sure to find a Rex, or maybe several that are a must have. Leaves form from rhizomes, having characteristics like unique veining, ruffling and puckering, with splotching, spotting, streaking or borders ranging in a host of different hues. Colors of the differing types of Rex begonias include mixes of greens, silver, white, reds and pinks, maroon, purple, yellow and orange. Many types have a silvery or metallic sheen over the leaves, adding even more interest. In their native habitat, Rex begonias are understory plants in shady to partially shady areas of jungles and considered tropical and subtropical plants. Although it’s doubtful you have a “jungle environment” in your own yard, those who live in frost-free locations can grow the begonia outdoors. Even if you aren’t lucky enough to live in an area where winters are mild, you can still set Rex begonias outdoors during the warm-season and bring them indoors when old man winter decides to come visiting. If you want to give your Rex begonia a break from inside your home, just place it in a shady to partially shady location outdoors and care for it as usual. They make attractive, eye-catching plants dressing up mixed containers, hanging baskets, and situated in an entranceway, covered porch or patio area, balcony or rooftop garden, and even used in a shade garden in the landscape. Rex begonias bring their flamboyant star appeal to outdoor areas where many flowering plants fail to thrive, and will be sure to steal the show wherever you decide to situate and grow them. Just water them regularly. The steps for transplanting Rex begonias from their nursery container into a more permanent one are relatively basic. However, there are several aspects you need to consider when selecting a container and growing medium, so you are sure to end up with happy plants that thrive inside your home. Pots or hanging baskets of any material work well, as long as there are bottom drain holes. Potting in containers that don’t drain promote root rot and eventual plant death. Consider that the soil in pots made from pottery or terracotta dries out faster than the soil in plastic pots. Therefore, the begonia will require more frequent watering. Transplant in a container that is one to two sizes larger than the container the Rex begonia is presently growing. When it comes to soil, any peat-based potting mix that is lightweight and well-drained works well. You can also use a general-purpose potting mix, if you cannot find a peat-based mixture. Expert Tip: Don’t use a potting soil, as it’s heavier than potting mixes, has a tendency to retain too much water and doesn’t have good aeration, leading to the Rex begonia possibly developing root rot. Once you’ve selected the desired Rex begonia, an appropriate pot and soil, comes the next bit of fun – planting. This is the first important step in its care that assures your begonia gets off to the best start. An essential thing to remember when potting your Rex begonia is to not “manhandle” it, as the root system is very sensitive and delicate. Handle it as if you were holding a newborn baby, especially when removing it from its original container and placing in the new one. Fill the container about one-quarter full of potting mix and water to settle the soil. Make a small indentation in the center. Gently remove the Rex begonia from its nursery pot, handling the root system with care, and place in the middle of the new container. Fill the remainder of the container with the potting mix, carefully firming it up around the begonia and being sure not to plant any deeper than it was growing in its nursery pot. Water the container’s soil again and until it’s running from the bottom drain holes. How Many Rex Begonias Per Pot? If you are creating a mixed container garden, or desire to plant several Rex begonias together, there several consideration to assure their continued health. If given proper care and growing conditions, all types of Rex begonias mature into plants with a dense habit of growth. Remember, some types grow almost 24 inches wide. Therefore, don’t overcrowd plants, as it opens the begonia up to disease problems due to the lack of air circulation. Sticking to one Rex begonia per pot is probably the healthiest option and alleviates the possibility of overcrowding. However, if you are growing smaller varieties, mixing the begonias with plants having more of a slim, upright habit like certain palms or dracaenas, or are using a 3-gallon or larger container, planting several together works. Expert Tip: When selecting companion plants that grow well with Rex begonias, be sure to choose ones that require the same growing conditions of cooler temperatures and moist soil. In addition, use plants with a slow to moderately slow rate of growth, as quick-growing types will rapidly overtake the begonia and crowd it out. Now that you’ve accomplished the first step in Rex begonia indoor care – proper planting, it’s time to start a program of continued care. Although they have a reputation of being hard to get along with, by giving it the continued care and conditions it prefers, your Rex should experience few, if any problems. When considering the best location indoors for your Rex begonias, you can safely situate them by an east or west facing window and they will perform equally well. If you live in a location where spring and summer conditions aren’t extremely hot, you can also place them by a south-facing window. Turn the container weekly so all sides of the Rex begonia receive the same amount of light. If you lack enough natural lighting, Rex begonias also perform well situated under fluorescent lights, which gives you more options in suitable indoor locations. Expert Tip: If the edges of the foliage turn brown and looks burned, the Rex begonia is too close to the window. If it starts growing long and gangly reaching towards the light, it’s not getting enough sunlight. 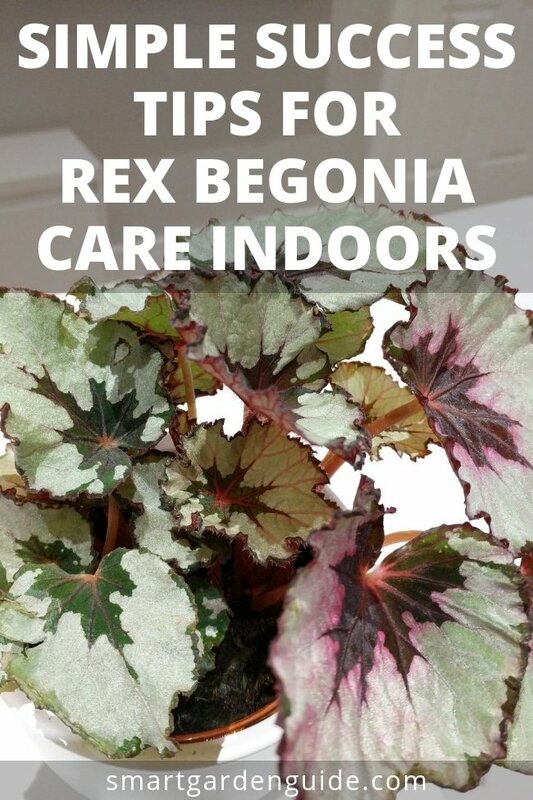 Rex begonias perform best with indoor temperatures ranging between 60°F to 85°F (15.5°C to 29.4°C). They will stop growing when temperatures dip below 58°F (14.4°C). Knowing when to water your Rex begonia is easy, although you will probably have to water weekly, especially during the growing season. Look at the container’s soil and if the top has just dried, water until it runs out of the pot’s bottom drain holes. However, don’t keep the soil overly moist or rot can occur and don’t allow the soil to get so dry the Rex begonia wilts. If you use a saucer under the pot to catch the water, empty it after the container has fully drained. You can also fill the saucer with small pebbles and sit the pot on top, as it lifts it out of the wet conditions. Try to apply the water only to the soil and keep it off the foliage, which reduces disease problems. If you water early in the day, it gives the foliage time to dry before nightfall. During the winter, when the Rex begonia isn’t actively growing, cut back watering to about once every two to three weeks. Is Humidity Important For Rex Begonias Indoors? Probably one of the biggest problems with growing Rex begonias indoors is making sure you create humid conditions for them. They are true drama queens if they don’t get enough and will fail to thrive. Unless you run a humidifier in your house, you’ll need to spray the Rex begonia with water daily. This is as easy as filling a clean spray bottle with water and misting all the foliage at least once each day. Spray early in the day so the foliage has time to dry. Although they don’t like wet feet, they’ll throw a hissy fit if they don’t get their daily spraying. Signs the Rex begonia isn’t getting enough humidity is burned, brown areas on the edges of the foliage. How Do I Fertilize A Rex Begonia Houseplant? 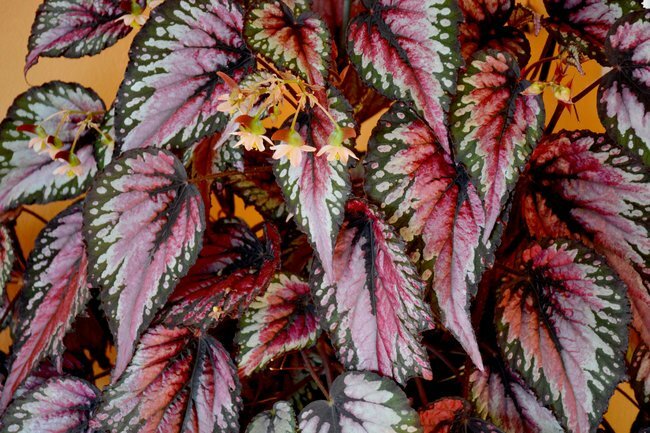 Once the Rex begonia starts growing again in spring, fertilize with an all-purpose, water-soluble houseplant fertilizer applied at quarter strength. Reapply every two weeks while the plant is actively growing. You can also use a slow-release, all-purpose formula applied every three months. Cease fertilizing in fall or early winter when the Rex begonia is dormant (when its growth slows). Expert Tip: Flush the container’s soil with fresh water about every three to four months. This washes any build-up of salts that might accumulate in the soil from the fertilizer. Rex begonias require minimal pruning unless long, bare stems require cutting back, or you’d like to create a fuller plant. Using clean pruning snips simply cut the stem back to the base and the remaining portion should sprout new leaves and stems. Pinching the tips on younger plants helps them grow fuller too. Rex begonias with good care are usually bothered by only a couple problems and keeping fallen leaf debris cleaned up, making sure it gets adequate circulation of air, and proper water goes a long way in prevention. When conditions are warm inside, Rex begonias are susceptible to a mealy bug infestation. It’s easy to identify a problem with these sapsuckers, as they leave a cottony mass where stems connect. To control an outbreak, simply soak a cotton ball, cotton swab, or artist’s paintbrush in alcohol and dab the mealy bugs off the plant. In addition, you can also spray the entire begonia with alcohol, being sure not to spray the soil. When the soil is kept too wet, root rot can develop in Rex begonias. Signs of a problem usually show at the base of the plant first where black, mushy lesions develop on the lower leaves and stems. It’s best to discard the plant and start over with a healthy one. Prevention is as easy as following a proper watering schedule and water only when the top of the soil is dry. The leaf blight affects the lower leaves that have contact with the soil and shows up as water-soaked, dark lesions developing, which grow larger over time. The problem is most prevalent when nighttime conditions are cool, daytime conditions are warm, the soil is too moist and there’s moisture on the foliage. Prevent the problem by following a correct watering schedule, not getting water on the leaves, and watering early in the day so the foliage has time to dry before nightfall. You can also treat the problem with a homemade fungicide made up of 1 tablespoon of baking soda, 1 small squirt of a non-degreasing dishwashing liquid (helps the product stick to the begonia) into one quart of water. Shake well and spray the Rex begonia. Powdery mildew is another common fungal problem that can affect Rex begonias, especially if the soil is kept too moist and the foliage gets wet. Signs of a problem show up as a white powdery substance covering the leaves. Control the problem by removing infected leaves, watering correctly and not getting the foliage wet. You can also treat the fungus by spraying it with the homemade baking soda fungicide mixture described in the botrytis section above. Although Rex begonias are sure to bring a bit of an exotic and tropical appeal to your indoor spaces, use caution where you decide to place them. The plant contains soluble calcium oxalates, which are toxic to cats and dogs. Problems associated with ingesting the plant, especially the underground portions, include kidney failure, drooling and vomiting. Select a location out of the reach of children and your pets.